Greetings dear reader. 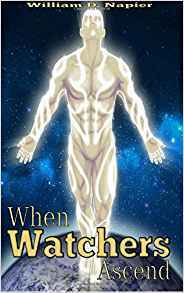 Welcome to my debut novel, When Watchers Ascend. This was a long and difficult process. I imagine if I were to try again, like anything with practice, it would become easier. This took me roughly six years to write. This was due to simple abandonment and reacquisition of the project. The really interesting thing is, I can't tell where those breaks were. I was able to pick the work back up without missing a beat. I really enjoyed the result. The story was a little large for me. I mean the story is huge. It spans worlds, life and death, and many characters. It was a challenge for a first book. If I do have a second in me, I think I'm going to work on short stories with each focusing on my important characters. I want to compile these stories into a little compendium of characters. What was their story before this book? I've started on the first story Horace. I'm interested to see where that leads. If you are interested, check out the book on Amazon. I have this in Kindle and paperback formats. Explorers have always looked to the horizons. What lies beyond? Explorers have looked across lands, into oceans, and at the stars. Some wonder about another place, the afterlife. One explorer will find these answers. Wilson is plunged into a plane of existence where humanity has evolved. These Watchers look over the well being of mankind. A third of the Watchers broke away and rebelled causing the Celestial Wars. Wilson will find out what is on the other side of this life and he will also learn what happens when Watchers ascend.